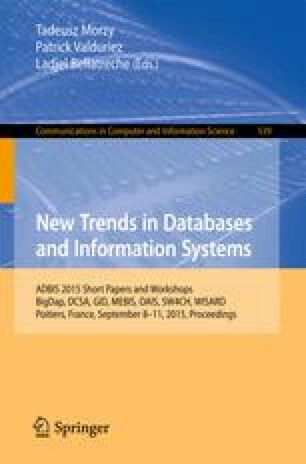 This paper, describes an application of social media, database and data-mining techniques for the analysis of conflicting trends and opinions in a spatial area. This setup was used to demonstrate the distribution of interests during a global event and can be used for several social media datamining tasks, such as trend prediction, sentiment analysis and social-psychological feedback tracing. To this end the application clusters trends in social text media streams, such as Twitter and detects the different opinion differences within a single trend based on the temporal, spatial and semantic-pragmatic dimensions. The data is stored in a multidimensional space to detect correlations and combine similar trends into clusters, as it is expanded over time. The results of this work provide a system, with the focus to trace several clusters of conflicts within the same trend, as opposed to the common approach of tag-based filtering and sorting by occurrence count.